GARDEN CITY, SC (WCSC) - A construction crew digging a swimming pool in a back yard in Garden City found something they didn’t expect. Georgetown County deputies say crews digging at a South Waccamaw Drive home unearthed about a dozen corroded 1950s-era artillery munitions. Deputies were called in to secure the scene. 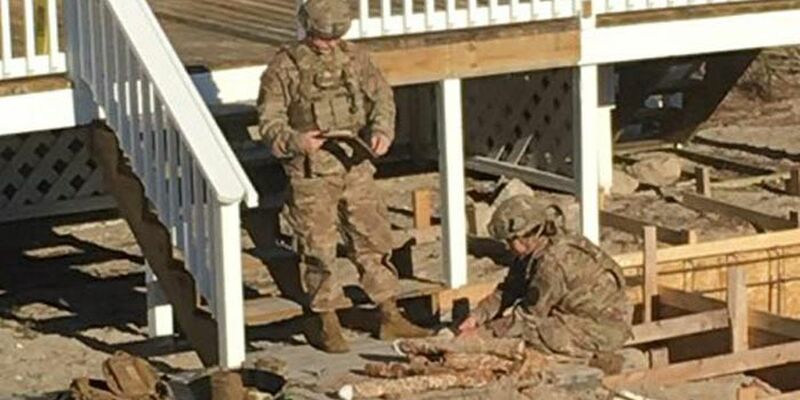 WMBF-TV reported that deputies stayed at the scene overnight until troops from Shaw Air Force Base could arrive on Friday to remove the munitions for safe disposal. Authorites advised people to avoid the area while that work was underway.